I've been lusting over Chanel Notorious Sculpting Veil for Eyes and Cheeks ever since I saw it on the runways last year. 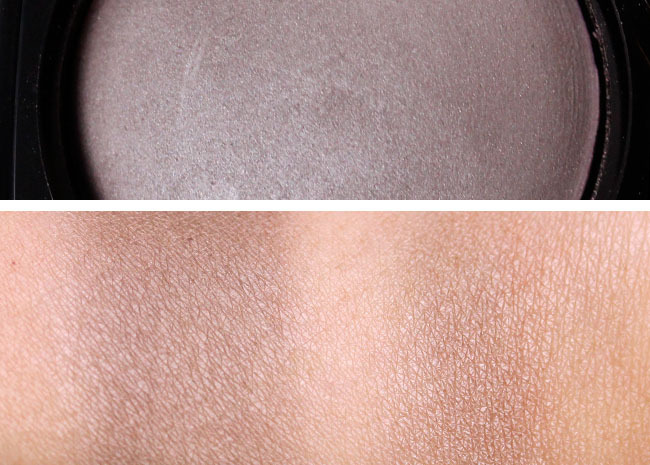 A gray-taupe contour color? You bet my grubby little manicured hands are all over it. I'll endeavor to have face shots by tomorrow, but I wanted to get swatches up as soon as possible in case you want one for yourself. 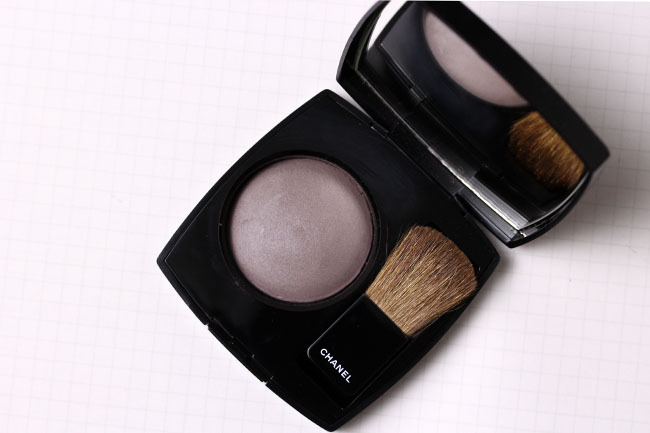 After all, the last time Chanel debuted an interesting blush it sold out within the week. You can layer it for a darker, smokier color (for eyes) or sheer it out to a soft gray-taupe as a contour. Before you think how can that possibly be on my cheeks, remember with natural contouring people are not supposed to know you did it, and that should be a guide on how much color you use. If you need additional help, Arianne from Glitter Geek just wrote a marvelous tutorial on natural contouring, complete with step-by-step pictorials. I just updated the post with contact details! This color looks amazing, and surprisingly it doesn't swatch as grayish as how it looks in the packaging. I love this. Will it be sold at all Chanel counters, do you know? Xiao, do you know if saks will ship to canada? Anonymous- I'm sorry, I really don't know. Perhaps you could call them up and inquire? Emi- I don't know. My guess is all Chanel boutiques and select Chanel counters? You should inquire with your SA! Hello there! I was wondering how this compares to Nars Lhasa eyeshadow. Are they somewhat similar? Hi Raquel- I'm sorry! I tried searching for my Lhasa shadow to compare but couldn't find it. I think they are similar but not dupes. Lhasa probably has more lilac and more shimmer so it wouldn't be good on the cheeks. OMG this is THE blush colour I was searching for all the time!!! A greyish Taupe, perfect contour shade!!! Not orange or green or other undertones but the perfect shadow colour!!!! Now available on Chanel's U.S. website....just sayin.